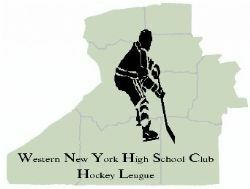 Welcome to the Chautauqua County Youth Hockey Association (CCYHA) webpage -- home of the Jamestown Lakers! CCYHA is a non-profit 501(c)(3) organization; For more than 50 years the Chautauqua County Youth Hockey Association has provided the area youth the opportunity to not only play, and learn about the game of ice hockey, but also teach the values of good sportsmanship, fair play, and respect to others. Most kids love hockey so much they continue playing this sport into Adulthood! We offer teams for ages 4 to 18 (exceptions apply). It is our goal to make this website the source for current information and the primary communication tool with all CCYHA members. All rostered members -- please be sure to update your info to receive all pertinent news/communications. Please submit any feedback that you may think will help the page. Please check both teams to see your spot. Just a reminder to everyone, tryouts are coming up soon! Midgets - April 10th 7:00 - 8:15 p.m.
1. Players can be registered at www.jamestownlakers.com after April 1, 2019. 2. Players must bring their USA Hockey registration to the tryout. Players can be registered on the USA hockey website any time after April 1, 2019. 3. A parent or legal guardian must accompany all players (including midgets) at the time of the tryout in order to complete the required Code of Conduct form and the Consent to Treat form. 4. For all players who turn 17 years old before or during the 2019-2020 hockey season, we are required to have them complete a SafeSport training. This is a multiple part online annual training offered by USA Hockey. These can be completed after April 1, 2019 (not before) in order to be valid for the fall season. 5. If any player needs to be excused from tryouts, a parent or guardian must contact Joe Hirliman at hirlimanhockey@rocketmail.com or by phone prior to the tryout date to get permission to be excused. We also have a need for referees. Adults and children ages 14 and over are encouraged to contact Jeff Anderson if they are interested in becoming a referee. Jeff's phone number is (716) 969-1537, and his email is jeferee44@gmail.com. There will be a clinic offered in Jamestown in early October. Other areas will be offering clinics as well including Erie, Buffalo, and Bradford.